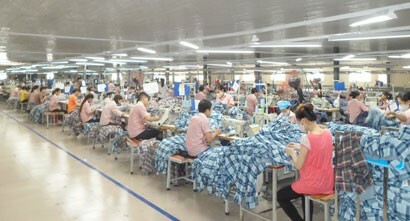 On November 28, 2017, Minh Anh - Do Luong Garment Factory, expected to manufacture and process 60 million clothes a year and employ 6,000 - 7,000 workers, started construction on 6.7 ha of land in Quang Son commune, Do Luong district. 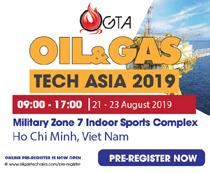 The VND150 billion facility is expected to go into operation in the second quarter of 2018. This is the second garment factory of Minh Anh Group in Nghe An invested by businessman Nguyen Dinh Sinh, overseas Vietnamese or Viet Kieu from the Federal Republic of Germany. These facilities prove that he invests in the fatherland not only to do business but also contribute to the development of Nghe An province. 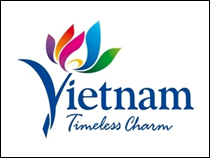 Born in Do Luong district, after completing military service in 1996, entrepreneur Nguyen Dinh Sinh studied abroad, got married and settled in Germany. Carrying industrious virtues of Nghe An people, he quickly succeeded in his second home. Whenever he visited Nghe An, he desired to do something for it. 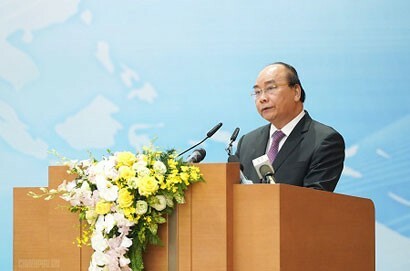 Therefore, when a working delegation of Nghe An province contacted and invited Overseas Vietnamese in Germany to invest in the fatherland in 2007, he joined. In early 2008, he visited Nghe An province with the intention of investing in a tourism project in Cua Lo Town but it could not be implemented. At that time, a garment factory affiliated to Nghe An Garment and Textile Joint Stock Company was in difficulty. Weak sales forced the factory to cut down the staff from over 500 full-time employees to just 160 nearly laid-off. Machinery, facilities and operating conditions were obsolete and backward. Recommended and facilitated by the Nghe An Provincial People's Committee, Nguyen Dinh Sinh spent VND12 billion to purchase the factory to reshuffle production and set up Minh Anh - Kim Lien Garment Joint Stock Company. Determined to create new vitality, efficient operation and generate jobs and incomes for labourers, the company invested in upgrading machinery and technology, changed perceptions and working manners of employees and expanded the market. 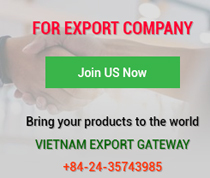 From stagnated production and unmarketable products, new products made by Minh Anh - Kim Lien Garment Joint Stock Company in hundreds of designs and models are accepted by leading apparel firms in the world. He said, technology and machinery are very important to the garment industry but human resources are still the most decisive factor. With rich experience in the garment and textile industry abroad, in addition to knowledge of garment and textile industry, an investor must understand what Nghe An people want to be successful. Despite being a new investor with a very high demand for behaviours and disciplines, workers, both old and new, are well adapted and integrated. In addition to educating workers on the sense of work by the motto “productivity and quality decide your salary,” the company regularly invites experts to train and update knowledge and work skills for workers who will practice directly on machines on-site. Alongside with training working manner, sense of responsibility and labour discipline, the company takes care and ensures rights and interests, full and timely salary payment for employees. The Board of Directors did whatever it swore and all legitimate recommendations of workers are considered immediately. Step by step, the company forms a good corporate behaviour. It also pays attention to ensuring food hygiene, providing timely stimulus and assistances to ill workers, and offering gasoline subsidies. All people in the company frankly and openly exchange each other to learn good things and avoid bad things. With that perseverance and effort, the company actively expanded the factory from 7,000 square metres to 20,000 square metres and the workforce from 160 employees to 800 in 2009, to 1,500 in 2014 and to 2,000 in 2017, with an average monthly income of VND5-6 million each. 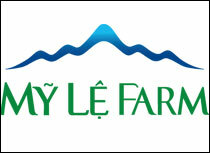 Minh Anh - Kim Lien products are quite diversified, ranging from shirts, jackets and jeans, mainly for export. The company’s export value reached US$35 million in 2016, ranked third in Nghe An province, and nearly US$40 million in 2017. Mr Nguyen Dinh Vinh, Deputy Director, said, Minh Anh - Do Luong Garment Factory is being implemented smoothly and expected to be go into operation in the second quarter of 2018. The two factories will employ 9,000 - 10,000 workers and earn hundreds of millions of US dollars of export value a year to rank among the top exporters in the province. 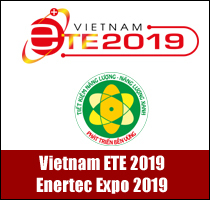 With its contributions, the company has been awarded many merits by Nghe An Provincial People’s Committee for fulfilling tax obligations, observance to fire safety regulations and environmental sanitation in recent years. Entrepreneur Nguyen Dinh Sinh was honoured with the “Nghe An Entrepreneur Gold Cup for his business achievements, active contributions to state Budget and participations in social security.